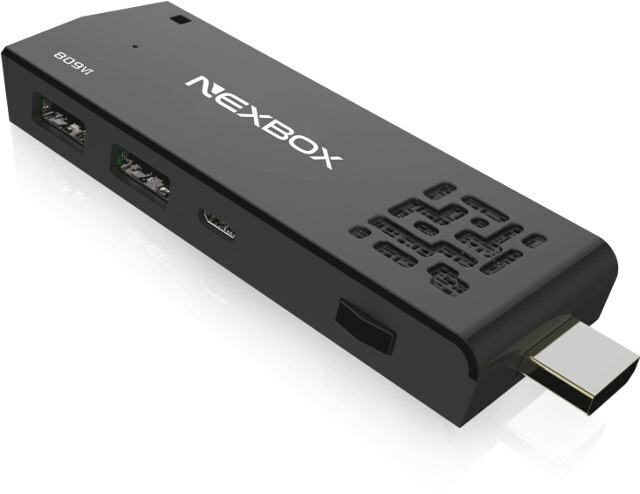 While there are many Rockchip RK3368 TV boxes, I had not seen an RK3368 TV stick until today, with NEXBOX 809VI that combines the octa-core processor with 2GB RAM, and 8GB flash. The stick will run Android 5.1 just like all other RK3368 devices. The company claims the 809VI is available now, but they have a (short) history of promoting devices quite early in the development cycle, so it could be that only have a few engineering samples, and retail availability is still a few months away. There’s no product page, but the device should show up on iNexbox products page sometimes in the near future. Won’t it need a fan? We’ll see. I should receive a sample soon. Hope it comes out soon. Still looking for that perfect android stick and this comes close.